Quilling (also Known as paper filigree) began over 500 years ago with the discovery that narrow strips of paper could be rolled, scrolled, fluted and fringed, and then arranged to create beautiful designs. 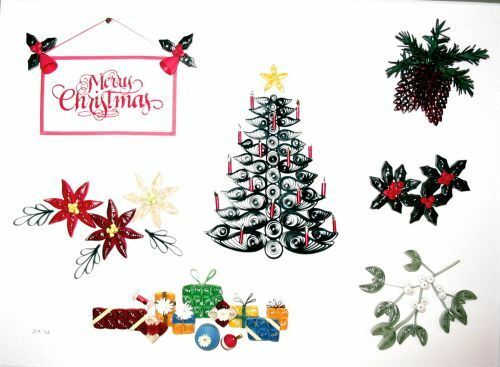 These are used to make pictures and to decorate cards, boxes and jewellery. This is a recent design by Jenny, available as a framed picture measuring about 8 x 10 inches. 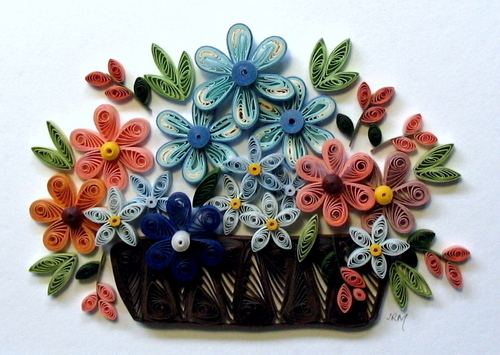 Jenny Matthews,working in Victoria, uses quilling in the creation of a wide variety of items. Her work can be seen at the gift shop of the Sooke Region Museum, just past the Sooke River bridge. You can visit her studio ln Langford by appointment. 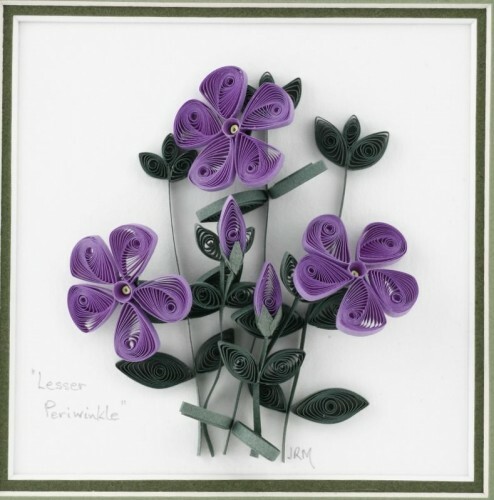 This is an example from her flower series which is available as cards or as framed pictures. 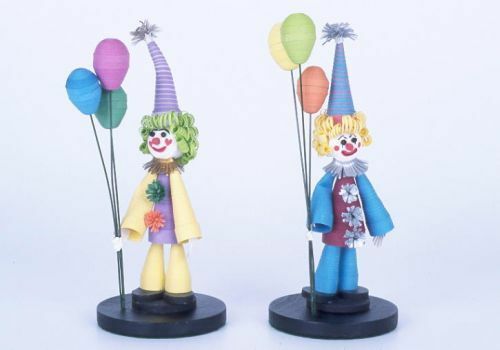 Quilling techniques can also be used to make free-standing three-dimensional items like this pair of clowns which are made to order only. There are times when an occasion such as a wedding or anniversary calls for a very special card. Jenny has a created a number of these. 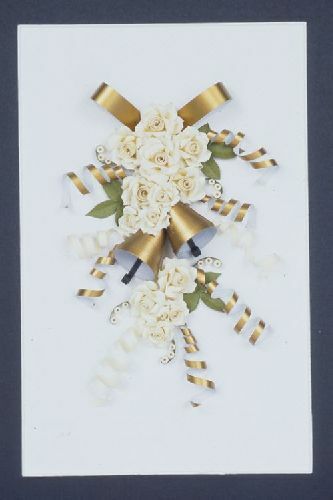 Here is one example from her range of boxed cards measuring 5.5 x 8.5 in. Special commissions can be undertaken such as this Christmas theme sampler which was supplied framed and measures about 11 x 14 in. Orders are being taken now for Christmas 2009.